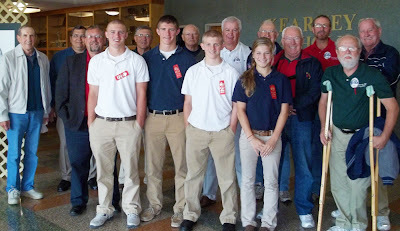 Thanks to the members of Kearney, Nebr., Lodge No. 984, Buffalo County is covered in red ribbons! Elks made sure all students observed Red Ribbon Week by wearing red ribbons, learning the dangers of drug and alcohol use and abuse, and committing to drug-free lives. With their $2,000 Promise Grant, Elks partnered with Positive Pressure, a workgroup of Buffalo County Community Partners, to spread the drug-free message to all local schools by distributing Elks drug awareness materials and empowering students to make healthy choices. 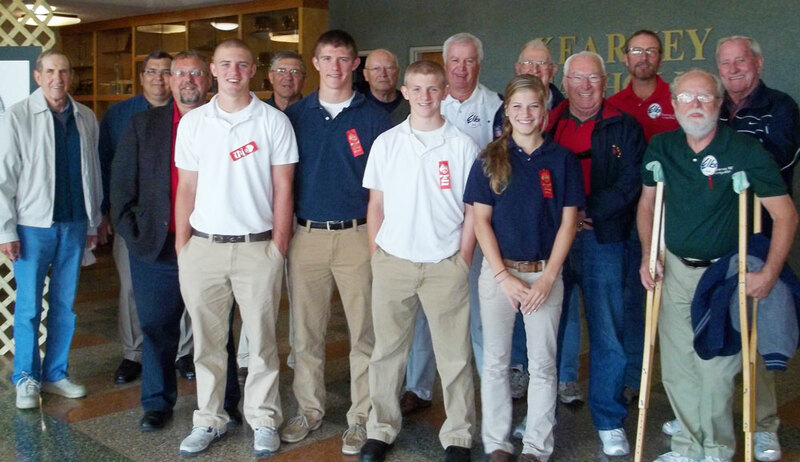 “The Kearney Elks are honored to participate in Red Ribbon Week, and encourage everyone to pledge to say no to drugs,” said Doug Kramer, Lodge Drug Awareness Chair. In 2011-12, the Elks National Foundation allocated $715,350 to fund the Elks National Drug Awareness Program. For more information on the Drug Awareness Program and Red Ribbon Week, visit www.elks.org/dap.